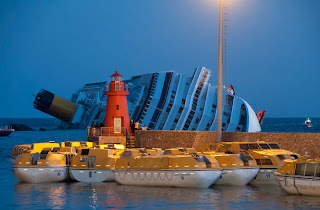 In his continuing search for the more weird, wacky and wondrous in the world of travel, David Ellis says it's been revealed that the ill-fated cruise liner Costa Concordia, that sank after hitting a rock off the Tuscan island of Giglio in January last year, appeared to have a knack for attracting the wrong kind of publicity. 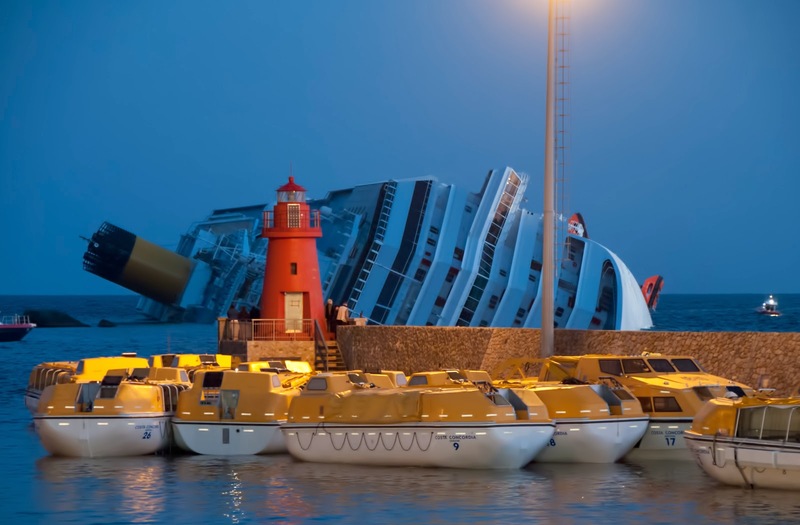 Because when a parish priest in a small Italian town told parishioners a few years before the sinking that he was going on a "spiritual retreat to reflect on his vows and to meditate and pray," it was not totally what he had in mind. And he would have got away with it had it not been for a young niece excitedly telling the world by Facebook what a wonderful week her whole family "including Uncle (name)" was having aboard the Costa Concordia. Concordia means "continuing harmony, unity and peace" but parishioners back home were in anything but "concordia mood" when they read the niece's Facebook entry, one commenting to the priest's local paper: "It's a bit difficult to understand how he was taking a spiritual retreat aboard a cruise ship with 4000 party-goers."